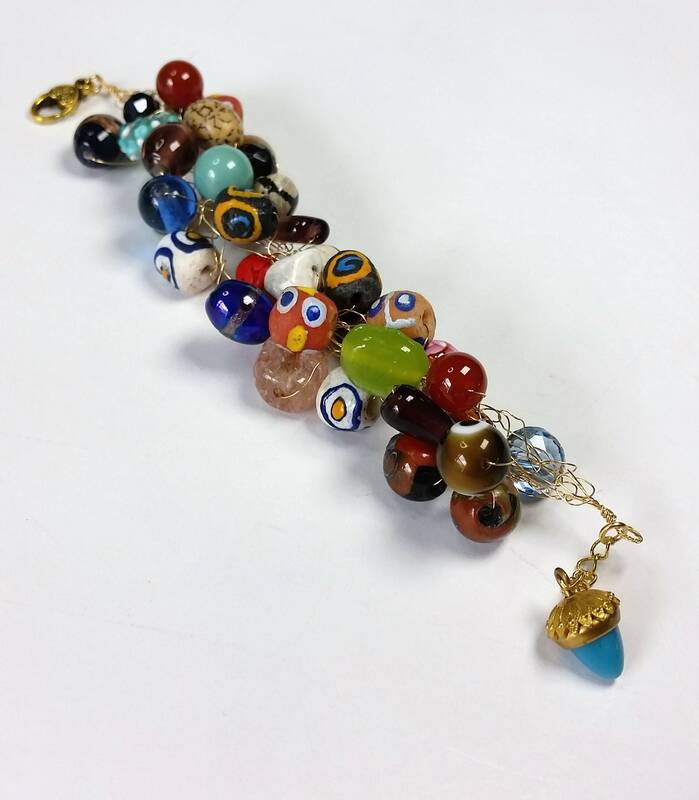 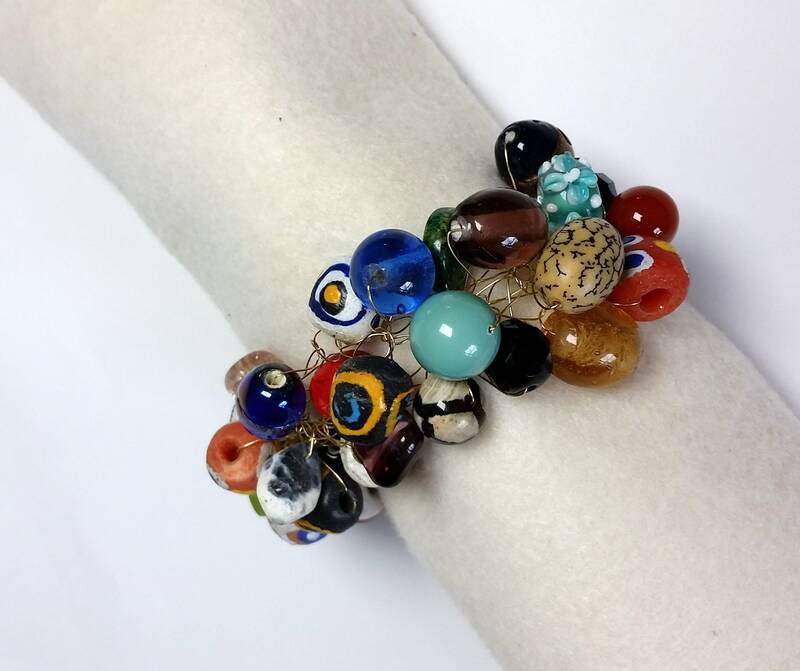 This bracelet is a rainbow color splash with multi-hued trade beads, semiprecious stone beads, cinnabar, wood, glass, crystal, and lampwork beads crocheted onto gold tarnish resistant craft wire! 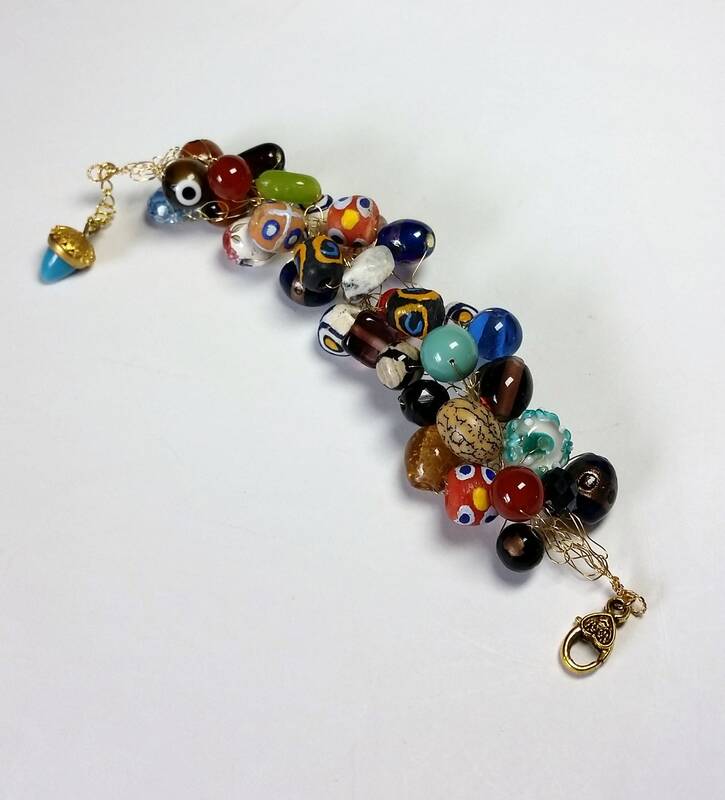 It has an adjustable length (extender chain) so the length measures from approximately 7.5 to 8.5 inches. 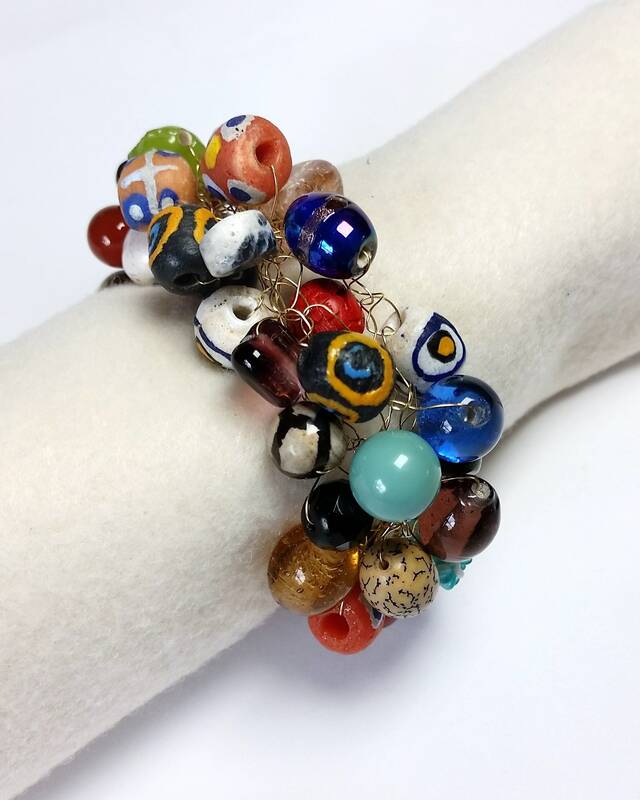 There is even one "evil eye" bead included in the melange of colorful beads! 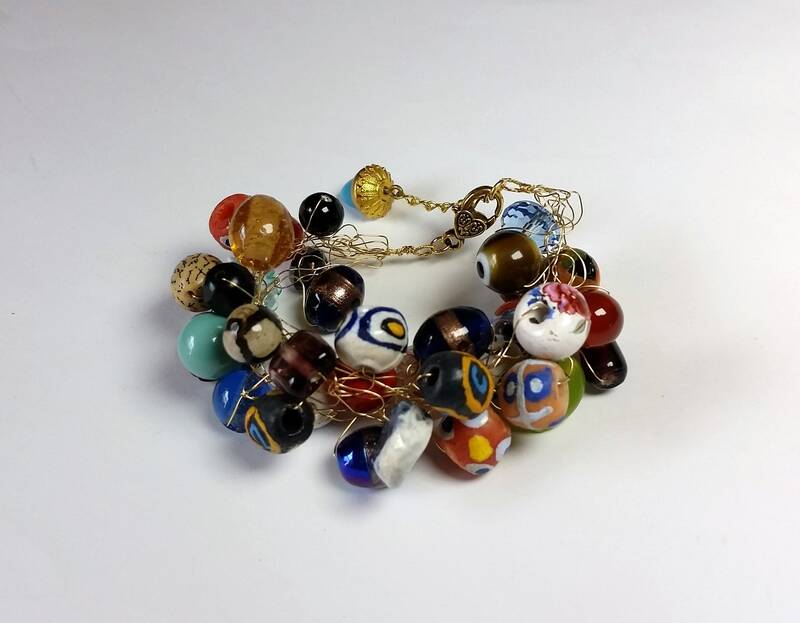 This of course is worn to ward off negative energy. 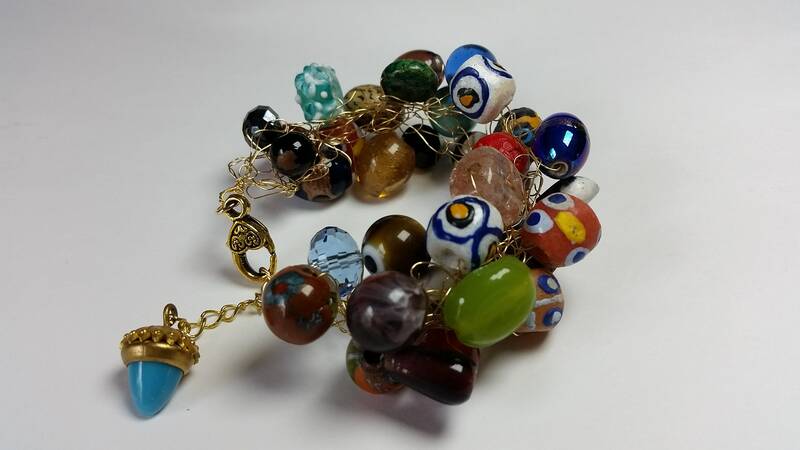 Natural stones include jasper, carnelian, and agate. 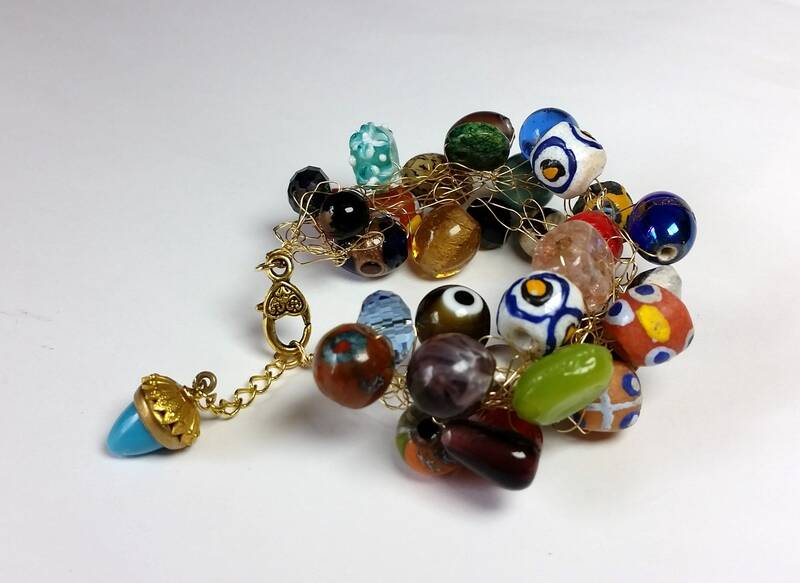 The large lobster style gold tone clasp has a raised heart motif on both sides. 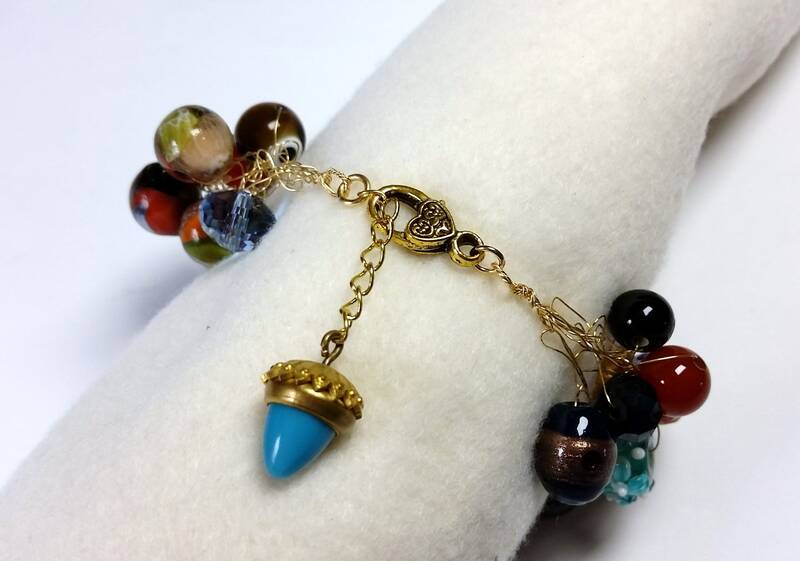 At the end of the extender chain is an acorn shaped turquoise bead with a gold acorn-top-shaped bead cap.